Dough that has yeast in it poses a hazard to pets who consume it in large quantity. The risks are two-fold. The first risk is that the dough may rise after ingestion, causing intestinal obstruction. Secondly, the yeast can ferment sugars, creating a secondary problem of ethanol (alcohol) poisoning in the animal. 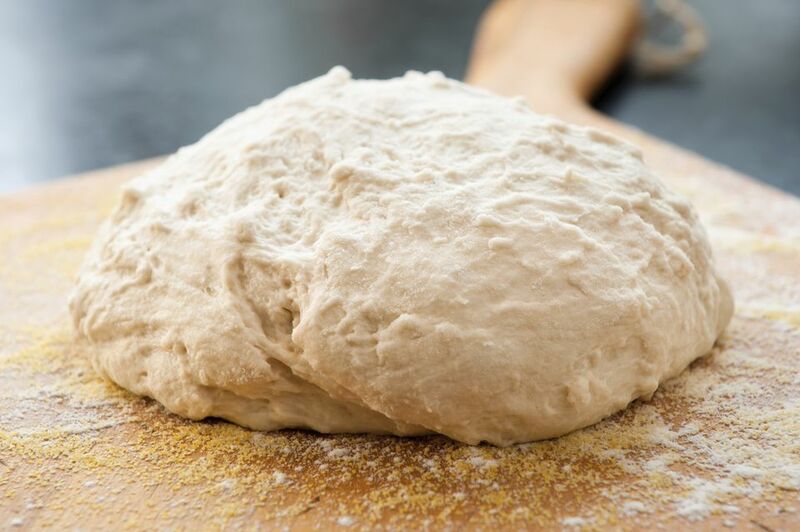 Ahna Brutlag, DVM and Justine A. Lee, DVM, DACVECC have provided this case report to educate owners about the dangers of yeast dough for pets. "Shorty" a seven-year-old, male (neutered) Domestic Shorthair cat ingested a ping-pong sized thawing piece of yeast bread dough. About 5 to 6 hours later Shorty's owner noticed he was drooling and lethargic. She called Pet Poison Helpline and was advised that dough containing yeast may continue to rise in the warm environment of the stomach. Thus, her cat might be at risk for a bowel obstruction. Also, the fermenting yeast can cause ethanol (alcohol) poisoning in animals. Shorty was taken to his veterinarian. Abdominal radiographs revealed a large amount of material in the stomach and the cat had signs consistent with alcohol toxicity (staggering, lethargic, drooling/nausea, etc). Because of these findings, Shorty was taken to surgery where a very large amount of dough was removed from his stomach. His alcohol poisoning was treated with IV fluids and the monitoring of blood work (blood glucose, chemistry panel, etc). Thankfully, he recovered uneventfully.